The Women’s Human Rights Education Institute (WHRI) is a program of the Centre for Women’s Studies in Education (CWSE) at the Ontario Institute for Studies in Education of the University of Toronto (OISE/UT). The Institute is run in partnership with the Fundacion Justicia y Genero based in Costa Rica and International Women’s Rights Watch Asia Pacific based in Malaysia. At WHRI participants from around the world can learn in-depth about the theory and praxis of women’s human rights. Participants develop a practical understanding of the UN Human Rights system and how to apply a women’s human rights framework to a multiplicity of issues, as well as developing the skills to execute human rights education workshops. 2018: Channel made a grant to continue supporting the Women’s Human Rights Education Institute (WHRI) educational programs focused on training women human rights defenders in understanding and utilizing the UN Convention on the Elimination of All forms of Discrimination Against Women (CEDAW). In 2019 WHRI will lead several collaborative training programs (with Fundacion Justicia y Genero) in Ecuador and Costa Rica as well as their long time CEDAW Institute at the University of Toronto, Canada. 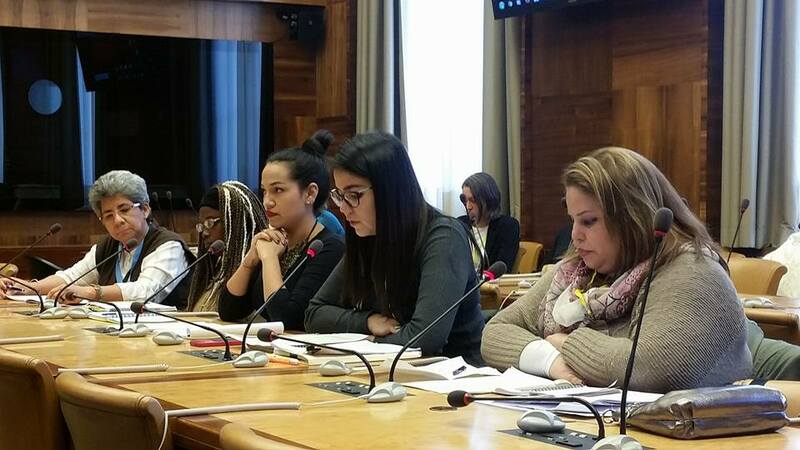 2017: Channel made a grant to support the WHRI’s 2017 educational programs that focused on training participants in understanding and utilizing the Convention on the Elimination of All forms of Discrimination Against Women (CEDAW) — particularly collaborative programs in Trinidad and Tobago, Honduras, and Guatemala as well as CEDAW for Change programs in Toronto, Canada and Oxford, UK. 2016: Channel made a grant to support the WHRI CEDAW for Change Institute in Costa Rica, held at University of Peace in June 2016, the WHRI Intensive held at the University of Toronto in August 2016; and some CEDAW trainings in Honduras in Spring 2016. 2015: Channel made a one time small grant to support the Initiative by the Indigenous Women’s Alliance for CEDAW (through WHRI’s fiscal sponsorship) to advocate with the CEDAW Committee during the October 2015 CEDAW Session for a General Recommendation on Indigenous Women. Also in 2015, Channel made a grant to support the tuition expenses of several women’s rights activists to participate in the 2015 WHRI Intensive and CEDAW for Change in Toronto, as well as the development and execution of their Latin American-based Spanish language programs, including a 2015 program in Costa Rica for Mesoamerican women’s human rights defenders. 2014: Channel made a grant to support the tuition expenses of several women’s rights activists to participate in several of the 2014 WHRI Institutes: One took place in Kathmandu, Nepal in 2014; the CEDAW for Change one week Institute which took place at the University of Toronto; and the CEDAW Week for Indigenous Women, in Central America also in 2014. A video slideshow of photos of the first CEDAW Week for Indigenous Women in Colombia can be viewed here. 2010–2013: Channel made annual grants to support the participation of several women’s rights activists from various countries around the world for the six week WHRI Institute: Building a Peaceful World in an Era of Globalization, and the CEDAW for Change one week institutes at the University of Toronto. Initiated in 2004, WHRI was created by feminist jurist and activist Alda Facio, Founder and Executive Director of the Programa Justicia, Mujer y Genero of the UN Latin American Institute for Crime Prevention, Justice, and Treatment of Offenders of Costa Rica. The Institute integrates in-depth learning about the UN Human Rights system, with a particular focus on the Convention on the Elimination of All Forms of Discrimination Against Women (CEDAW), with wider feminist understandings about the gender bias inherent in the law, feminist understandings of the impact of globalization on women’s human rights, and with training in facilitation and workshop techniques to ensure replication of the training around the world. The full institute runs for six weeks, with a team of international and intergenerational facilitators who bring considerable experience and expertise regarding the law, education, activism and positive social change. For those who cannot attend for the full six weeks, the one-week CEDAW for Change module offered in collaboration with International Women’s Rights Action Watch-Asia Pacific (IWRAW-AP) is opened up for additional participants. In June 2014, Alda Facio, advisor and member of WHRI Senior Staff and JASS Mesoamerica’s team, was appointed to the UN Working Group on the Issue of Discrimination Against Women in Law and in Practice. The appointment recognizes the extrarodinary contributions and commitment to women’s rights around the world of Dr. Facio, a former Costa Rican judge and an international human rights expert. The Working Group is tasked with identifying, promoting and exchanging views on good practices to eliminate laws that discriminate against women and developing a dialogue with States and other actors on laws that have a discriminatory impact.